Tis’ the season to be spending. In a matter of days, we have Black Friday, Shop Small Saturday, Cyber Monday and Giving Tuesday. It is a challenge to budget accordingly and plan efficiently to make the most of this pre-holiday madness. According to CNBC shoppers spent over $640 million dollars online before 10AM yesterday for Black Friday and 7News Boston reported that some deal-seekers braved battled more than 5 hours of traffic to reach Wrentham Outlets to partake in the shopping tradition. Today we celebrate an American Express (the least friendly vendor card) manufactured holiday (move over Hallmark): Small Business Saturday! 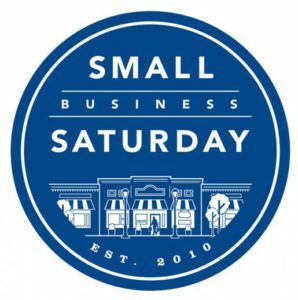 And while the intent behind its inception may have been done for nefarious publicity, it does not mean that we should overlook the opportunity to spend today supporting our small businesses. As a small law firm owner and operator myself, that services exclusively small businesses and start-ups, I have a unique understanding of and appreciation for the small business experience. I pride myself in patronizing small businesses, but it is not a challenge to do so year-round and the experience is so much more rewarding with limited if any additional cost. You can plan your own excursion using this map prepared by American Express (full disclosure I am not sure if they are required to accept Amex in order to be listed, but consider using cash so all funds go to the business as opposed to a percent for the credit card company). I may live in a big city but am from a small town that has even made it to their map! SO .. How will you spend today? Get up! Get out! Explore, experience and shop! And don’t forget to #shopsmall year round!